9 more ways you should be using your blog to build business (but probably aren’t). 2. Use your blog to educate readers about your business, products or services. One way to do this is to have a spotlight product or service of the week (or month). Incentivize newly blog educated customers by providing an offer relative to your product or service of the month, such as a complimentary trial version, free add-on or another goodie. 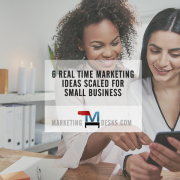 On your working calendar (whether it’s electronic or old fashioned paper and pen) schedule out 15 minutes each week and write down the name of each product or service that you’ll write about. For each, you only need to write 2-3 paragraphs, and you will likely be able to cut and paste from manufacturer’s websites or flyers, or even take scripting from product packaging itself. 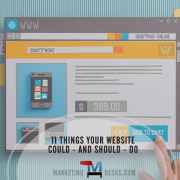 Your blog – along with your website, email newsletter, Facebook timeline page and all other online platforms – should be designed so that a customer knows they are interacting with your business (and with the same business) no matter which site they were on. For example, I recently designed a website for my husband’s dental practice. Note how the Walker and Kraus DDS’ Enumclaw dental practice website, blog and Facebook page – while not identical – still have enough harmony so that you can easily identify them as united. Now more than ever it’s important that you utilize your online communications effectively and strategically. I know it sounds complicated, but a little reading and research on your part about optimizing your blog posts to help drive traffic not only to itself but also to drive more traffic to your business’ website will pay off. Your blog also gives you opportunities to specifically enhance your local SEO (the optimization that you do to bring more local clients to your website and hopefully into your place of business). 5. Engage, provoke and otherwise invite feedback. The point of communications channels like your blog are primarily to build brand awareness and foster relationships. You should write from the standpoint of wanting to create intrigue among readers – a desire in prospects to want to know more about your business (or do business with you), the development of customer loyalty and referrals among existing clients, and so on. Use your blog to gauge feedback, solicit reviews and testimonials, find out how well your customer service, fulfillment, service department or other segments of your business are doing, etc. 6. Establish and build on your reputation as an expert. No matter what business you are in, you want your customers to view you as the authority, the go-to-guy for whatever it is that you do or sell. By using your blog to educate customers and prospects, you set yourself up as a perceived authority. In addition, by populating your blog strategically and improving your SEO result placement, you enhance your reputation. True or not, people perceive businesses to be more (or inherently) trustworthy when they place higher in Google search results. Blog posts should be scheduled, in part, to be coordinated with your overall communications strategy. Not only should you use other channels to link to your blog post, but even topics themselves can receive focus across the entirety of your business in conjunction with the point in time that it’s being featured on your blog post. An example of this would be creating a promotion around a product that will receive “product of the week” status. in addition to blog post and social media status updates, you could put a snippet on your on-hold system, place bag stuffers in box shipments or bags when customers check out, send a postcard to customers or prospects who have purchased that product in the past or who are more likely to buy in the future, include it as a featured product in your email or print newsletters, and even provide service providers or point of sale employees with a special script about that product. People expect blog posts to be written by real people. And when you get to write like a real person, you have more ability to make emotional connections. Use analogies about people, places, pets and other things in your life that your customers or prospects might relate to emotionally. Talk about local schools, charities, civic initiatives and other worthwhile endeavors which you support. Give people emotional reasons to see themselves as connected to your brand and your business. 9. Turn it into a resource. When you populate your blog with posts that have value (i.e., value in the eyes of your readers, customers and prospects), you establish your blog as a resource. When you provide a valuable resource, you give people reasons to come back. Reasons to forward your blog posts on to friends and family. Reasons for them to check back to see what’s new, what’s special, what’s incentivized, etc. 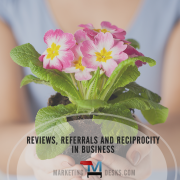 In addition to talking about your business, you can also talk about your community and provide links to other businesses, city organizations, events, etc. Set your business blog up as a hub for people to come back to visit, time and time again. 10. Think series of posts, rather than one and done. There’s no reason that you can’t write out the story of your business in a series of posts, especially if you can tell the story of your business in a compelling way and leave people wanting more. And writing in series sequences (instead of one and done) also enhances your SEO as search engines view pages with back links as having more value and authority. 365 Days of Marketing is the ultimate resource for business owners who need actual content in order to achieve their content marketing (blogging, social media and SEO) goals! Available on amazon.com in print or digital format, it contains marketing how-to, inspiration and content for every day of the year — including all of the major holidays an much, much more to help you build a bigger role for your business in the lives of your clients, 365 days a year!